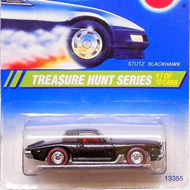 8/12 from the 1995 Treasure Hunt series. The Rolls has dark red metalflake paint and a beige roof. 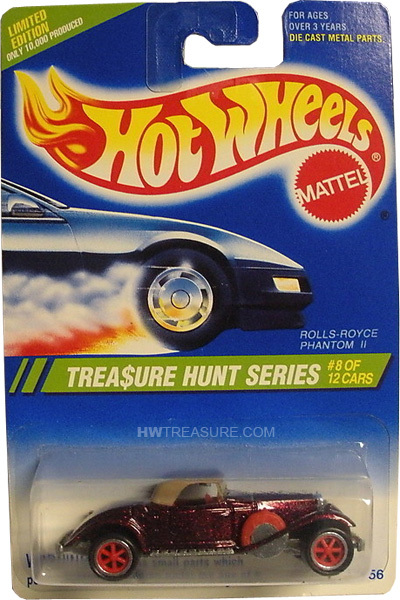 It has clear windows, a red interior, red Pro-Circuit 6-Spoke wheels, and an unpainted Malaysia base. 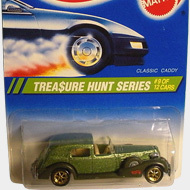 The Phantom made its debut in the 1984 Hot Wheels Classics. This rarely used casting is based upon the vehicle of the same name.